Your Community, Music and More! We started the show with a two song tribute to the elevation of the first African American to the highest position in the United States; Bruce Springsteen’s “Long Time Coming” followed by Ben Harper’s version of Maya Angelou’s “I’ll Rise”. America has finally turned away from the dark side. Let’s hope they make the effort to truly close the book on the dark days of the last eight years. Brian Holstein was back in the studio for a wide-ranging conversation that covered far more than the usual municipal goings-on… including the election of Barack Obama, uniting the centre left in Canada and transit in Prague. 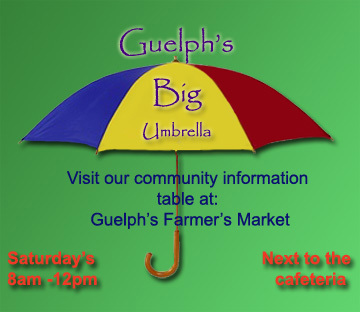 Getting back to City goings-on we chatted about downtown pedestrianization and parking, the development of the new City Hall, the Guelph Civic League’s new offices opposite City Hall, a possible city community art centre in the museum or library, and, finally, rude people at the farmers market. Phew! Brian’s rant focused on the Upper Grand District School Board’s controversial plan to convert Victory School in Exhibition Park to a french-immersion program only facility. There will be a public meeting at this issue on November 19 at College Heights School. The audio for this show is no longer available on the website. If however you wish to hear it again, please contact us at info@royalcityrag.ca. Thank You. Coming Up On Royal City Rag… A Long Winter’s Nap! The views express on this site are those of the writer and do not necessarily reflect those of CFRU 93.3fm Radio Gryphon, www.cfru.ca. RoyalCityRag.ca is not responsible for the content or views expressed on external sites.